Embodied Learning: VOTE UP For My SXSW 2018 Proposal! August 8, 2017 – The “SXSW 2018” Extra Issue. Last March, the day before my performance at SXSWedu in Austin, TX, I bumped into Carrie Shaw who completely changed my mind about the meaning and the goal of “edtech.” Carrie is the founder of Embodied Labs, a virtual reality company that develops adventures around the physical and emotional experience of aging and facing up to disease and disability. 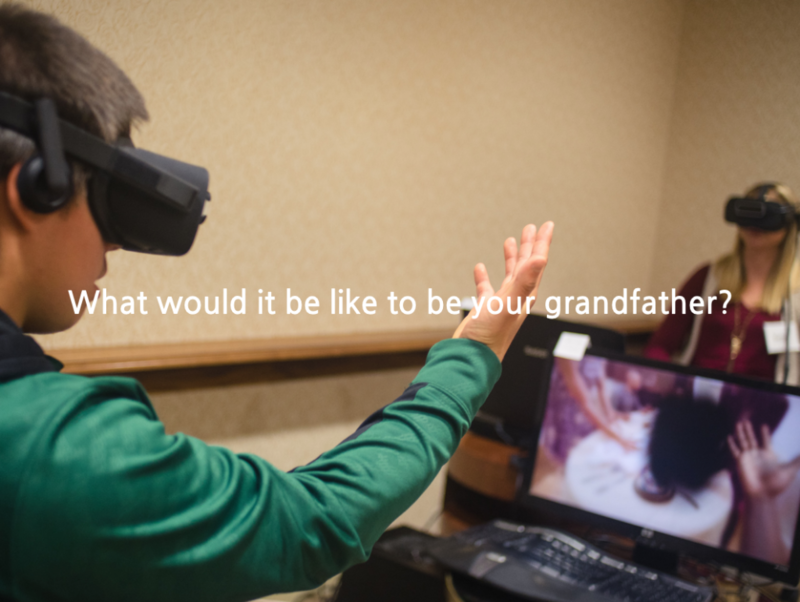 We spent hours envisioning how to implement VR in the adult education sector focusing on the professionals who serve large communities of both young children and the elderly. In the end, we decided to intertwine her point of view on “Real Learning through virtual embodiment” and my vision of “Embodied Learning through analog self-guided experiences.” The result is the prototype session we’re presenting at SXSW 2018 thanks to your vote! It is called “Your 2068 Right Now Aging Adventure.” What the heck does that mean? 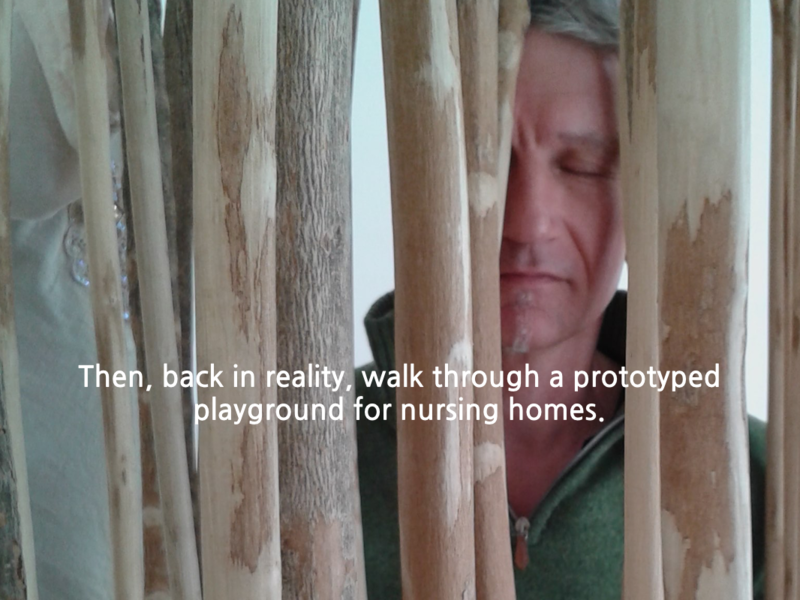 It’s a virtual journey into the body and mind of a 74-year-old man, which – at its end – becomes the real experience of walking through a playground specifically designed for nursing homes. To learn more about this incredible session, click here. 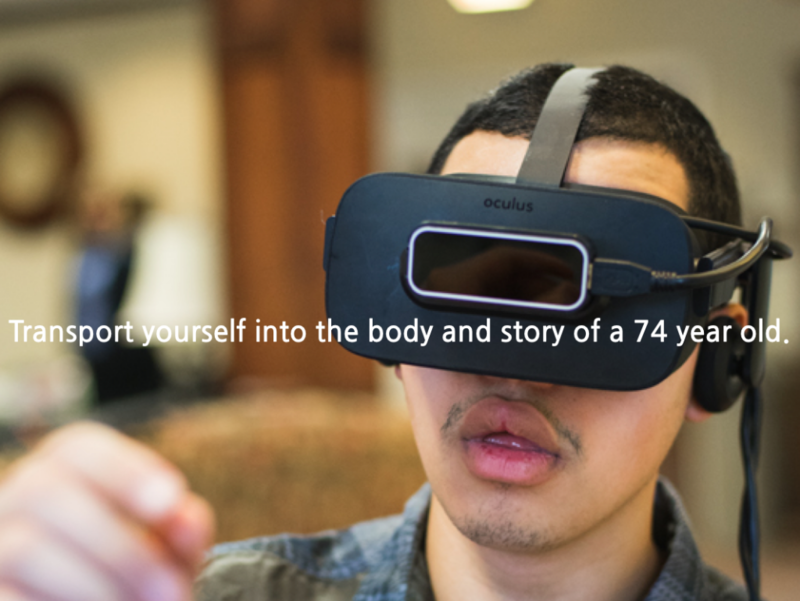 Please, VOTE UP for our submission and send “Your 2068 Right Now Aging Adventure” to SXSW 2018! 1. Click on this link and sign up to SXSW PanelPicker. 2. Click on this link and go to our Proposal. 3. Click on the VOTE UP sign on the upper left side of the page. The deadline for this exciting raffle is August 25, 2017. For any questions, drop me a line! A life without a swing is a misunderstanding.